According to Antoine Augustine Cournot, chance events are the result of the intersection between independent causal chains. This coincidental notion of chance is not a new one, but—as Cournot remarks—it comes from Saint Thomas Aquinas, Boethius, and more probably from Jean de La Placette. 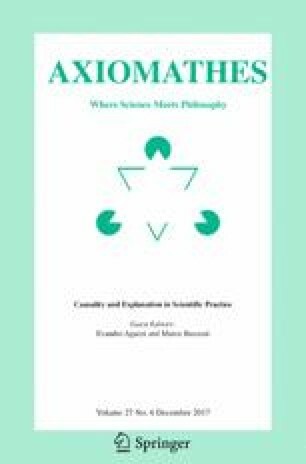 Such a conception of chance phenomena seems to be very important, not only because it is closely related to the Principle of Causality, but also since it grounds Cournot’s theory of objective probability. Starting from Martin’s work (Probabilités et Critique Philosophique selon Cournot. Vrin, Paris, 1996), the main attempt of this survey is to endorse the idea that Cournot’s coincidental notion of hasard is objective, that is it is ontic (i.e. it comes from some real feature of the world) and it does not depend—in some sense—on our degree of knowledge. In order to do that, a central role in the discussion will be given to the meaning of the independence between the intersecting causal chains and to Cournot’s conception of causation.